This very dramatic ring is part of the TCH COLLECTION designed by Toma Clark Haines. 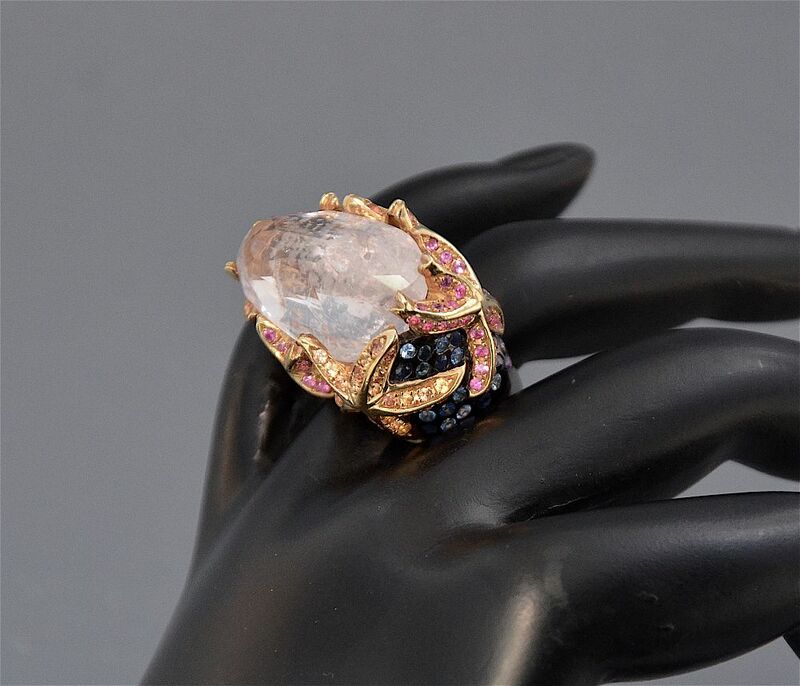 In the centre of the ring and set lengthways is a faceted irregular shaped pale pink kunzite. 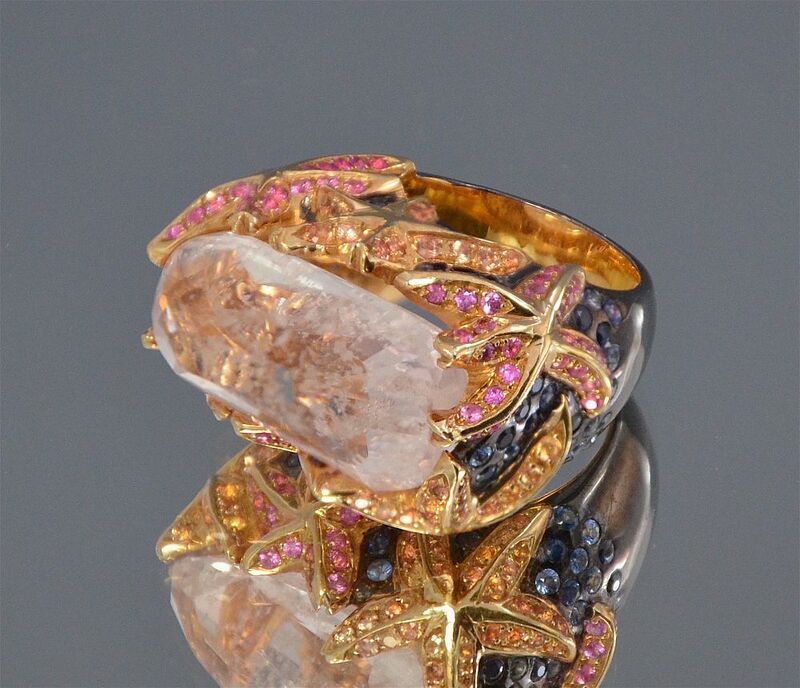 The "claws" are shaped as silver gold plated starfish and are alternatively set with pink sapphires &b orange sapphires. The shank has been black rhodium plated and the top of each is set with blue sapphires. The ring is made of 18ct gold plated silver.